specializes in the design and implementation of modern nurse call communications networks and infrastructure for public and private customers. Placing our customer's interests first, we strive for trusting, long term relationships that are mutually beneficial. To more than 100,000 customers in 52 countries, Anixter is more than a distributor: we are a business partner. Even though our four specialized sales forcesAerospace Hardware, Electrical and Electronic Wire & Cable, Enterprise Cabling and Security Solutions, and Fastenersserve many diverse markets, their one common mission is to provide customized solutions that meet our customers diverse needs. include financial institutions, as well as government agencies, commercial enterprises and various retail outlets. Galaxy provides system integration and upgrades to existing systems, as well as new installations in the emerging security market. Due to the increased advancements in the technology and security industry, along with increased awareness there is now more than ever an unprecedented demand for companies such as Galaxy. Henry Bros. Electronics (HBE) designs, installs and maintains integrated high tech electronic security systems. HBE is a single source end-to-end security solutions integrator. Its mission is to enable companies to provide a secure environment for the protection of people and property. HBE is a trusted advisor and key integration partner providing the latest security technology solutions which HBE pre-screen to assure quality performance. Henry Bros. counts among clients some of the most high profile real estate management, Fortune 500 companies and public transportation agencies. All come to HBE for our unique approach to integrating all facets of security into a single, comprehensive, seamless solution. HurleyIR,Inc. is a value-added engineering and manufacturing company dedicated to producing the highest quality thermal imaging solutions at the lowest cost of ownership. HurleyIR, Inc. has supplied imaging products to all branches of the US Military primarily in rapid deployment force protection applications. HurleyIR, Inc. also supplies imaging products to the US three letter agencies, USSS, and Presidential Protection. HurleyIRs imaging products have been chosen for many of the largest Port Security projects in the United States. InfoPro provides advanced technology solutions to government agencies and private enterprises. We serve clients as both a stand-alone entity and in conjunction with other technology companies. In addition, InfoPro can help government agencies comply with specific government compliance requirements, including FEA, FISMA, HSPD-12, HSPD-20, and Executive Order 13423. Jacksonville Sound & Communications, Inc., founded in 1969, has expanded through the years to become one of the largest independent firms engaged in the design, installation, service, and integration of low voltage, electronic, life safety solutions in the United States. Offices in Jacksonville, Gainesville, Tallahassee, Orlando and Savannah, GA.
Headquartered in Bethesda, MD, Lockheed Martin is a global security company that employs about 146,000 people worldwide and is principally engaged in the research, design, development, manufacture, integration and sustainment of advanced technology systems, products and services. The corporation reported 2008 sales of $42.7 billion. Los Alamos Technical Associates, Inc. (LATA) is a diversified engineering, environmental, and technical services company serving a worldwide client base. Founded in Los Alamos, New Mexico, LATAs core capabilities are focused in four primary service areas: Nuclear | Environmental | Defense and Security | Engineering. Optelecom-NKF, Inc. is a global supplier of advanced video surveillance solutions. Our range includes IP cameras, video servers/codecs, network video recorders, fiber transmission equipment, video management software, and video analytics. We deliver complete solutions for traffic monitoring and security of airports, seaports, casinos, prisons, utilities, public transit, city centers, hospitals, and corporate campuses. Rice Electronics has increased its market share by innovative solutions in the land mobile, offshore oil rig camera surveillance systems, remote monitoring and control, marine shipping, marine GPS tracking, telephone PABX systems and many other areas of technology. Rice Electronics motto World Wide Innovative Communications Backed by Experience and Determination was born out of the hard work and perseverance that it took to make the company successful. 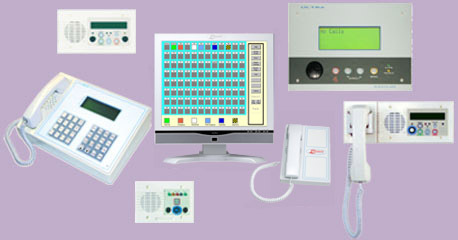 TRANDES is an engineering services company founded in 1972 upon a core knowledge of professional design engineering and computer automation tools for engineering. TRANDES offer a broad range of professional and technical services specializing in management support services, operation and maintenance of customer facilities, equipment and systems; logistics and life-cycle support; overhaul and repair depot operations; engineering, logistics, and personnel support; test and training range support and integrated training programs. Transdyn delivers technology that helps our clients manage their critical transportation, environmental, energy, and industrial facilities. We offer a diverse set of professional services that specialize in the design, integration, and support of high-availability control, security/surveillance, and communication systems. From Boston's Central Artery to the Pearl Harbor Naval Base, our systems control some of the most essential facilities in the world.